The LS2 Strobe modular full-face motorcycle helmet offers features you’d expect to find on helmets costing twice as much. 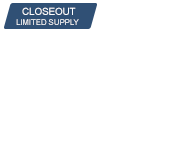 The full-metal latch system operates smoothly and offers a super secure closure for safety. It opens with a single button that’s easy to find and easy to use, even with a heavy winter glove. The chin bar has a secure detent when fully opened, so it stays in place when open. This modual helmet has LS2’s Twin Shield System with a built-in Twin Shield System Sun Shield, so you get the sun protection you want, and can quickly get more light when entering a tunnel or darker area. The Strobe uses a new slide and cable technology to engage the sun shield smoothly, offering ease of use and less wind noise. The face shield is optically correct, scratch resistant and has LS2’s ShortShift® Tool-less Quick Release making it easy to change whenever you need. The technical fabric liner wicks moisture, and is removable and washable. This is a motorcycle helmet built for motorcycle riders, whether you’re touring the Alaskan Highway, or commuting to work. 3D Laser Cut foam in the cheek pads make for a secure and comfortable fit, and a quick release strap makes it easy to get on and off. 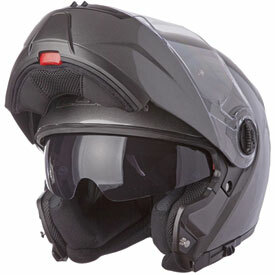 The Knetic Polycarbonate Alloy (KPA) shell is aerodynamic and has fully adjustable ventilation. The LS2 Strobe is so comfortable, you’ll forget you have it on. DOT/ECE approved. This model has am INTERMEDIATE OVAL FIT. The LS2 Strobe Modular has a 5-year warranty against defects in material and workmanship. Lightweight, aerodynamic, HTPP composite helmet shell cuts through the wind keeping the rider comfortable and resulting in less fatigue. This is real good helmet. The chin flips up turning it into a 3/4 helmet and there is a mechanism that flips down a shaded half face shield, so you dont need goggles if you got the chin up or the main face sheild open. Plus, it's got a neoprene flap under the chin so nothing can get in there while riding. I got a great helmet for the price. It has plenty of options and looks good. Could use a tiny bit more ventilation for hot summer but I'm not complaining. This is my second LS2 modular helmet and I ordered the large vs the Xlarge because my last one was getting pretty sloppy. When I first tried it on I thought it was going to be too small but after wearing a couple of times it fits snugly just like it should. The vent on top has good airflow, the vents in the front are a little weak. The sunvisor works great and tucks away nicely when not in use. Got the hi vis yellow and not disappointed in the color. Would definitely recommend, a lot of helmet for the buck. Love it compared to non modular. Kinda heavy and low on ventilation. But considering the price it is fine. Good value. The ratchet mech is smooth but not for long. Have to be forceful and hear a bit of grinding to move it, but still works after 1000 miles off road. Little noisy, yet not more than any other modular. Easy control of face and tinted shield with gloves on. I like the builtin quick release, easier than the add on. All shields work easily with glasses and plenty of room. Great value and quality. Love the rat he rather than the D rings. Fit is good just a little different shape than my Nolan. Not the quietest but not bad. Overall a solid well built helmet. Does it have the 2-layer visor, so it won't fog? Mine came with the second layer, which is removable. Pin style. Mine still fogs when I am stopped of visor is fully down though. Clears right away on moving. I live in cold and dry montama though. It has a flip down sun visor built in, but with me it does fog if I stop at a stop light. Does the inner lens slide down over prescription glasses? BEST ANSWER: Yes it does for mine and still has some room left over for bigger lenses. There is plenty room for sunglasses or prescription glasses. Yes, doesn't contact glasses at all. it looks like the sun visor switch is exactly where a Sena (or similar) would mount. Is there room for a left side COM?